When A Pipe Bursts In Your Chicago Home, Our Crew Is Here To Help! Contact us at (773) 434-9100 and get the peace of mind you deserve. Water expands when it freezes, and this is the reason why soda cans explode if placed in a freezer to chill fast and are forgotten. When water expands after freezing, pressure accumulates in the pipe, and it raptures, causing water to escape. A pipes can also rapture due to age or accidents and cause water to pool in your home, necessitating water removal. Removing the water quickly can prevent additional damage. You should call a restoration firm like SERVPRO to assist you with water removal in your Chicago residence. 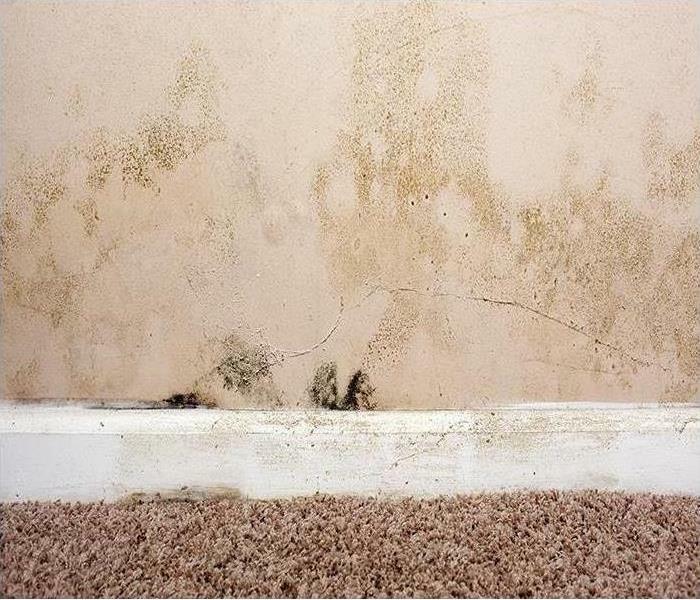 Failing to remove water from your home can contribute to mold and mildew growth. Mold can cause health effects. Our skilled technicians have extensive training and expertise in water damage restoration and can monitor and document the entire drying process. We use extraction equipment like wet/dry vacuums and pumps to extract standing water from a property efficiently. Our technicians can use portable extractors to remove water from restricted areas. We also use dehumidifiers to dry the affected areas. Dehumidifiers remove extra moisture from the air to dry out a home. We position dehumidifiers in a water-damaged structure strategically so humid, moist air can move to the unit while warm, dry air discharged from the machine circulates back into the damp areas. When in need of water removal services, SERVPRO of West Loop / Bucktown / Greektown is the right company to call. We have adequate resources for restoration jobs of any size. We serve several local communities, including Chicago, West Loop, and South Lawndale. Contact us at (773) 434-9100 and get the peace of mind you deserve. Click here for more about Chicago. Any time something burns inside your Chicago apartment, items inside can get ruined. Any time something burns inside your Chicago apartment, items inside can get ruined. Even the smallest blaze can cause you to have to call in a professional fire damage restoration company such as SERVPRO. Even minor burns can create smoke that can travel throughout the structure and cause problems far away from the fire's source. Partially combusted particles can stick to surfaces throughout your apartment unit and cause unpleasant aromas to exist inside the building. The longer fire damage goes without being properly treated, the worse the foul odors can get. Having something burn inside your home is not very common, but it does happen more often than it should. The best way to prevent fire damage in your Chicago dwelling from occurring in the first place is to take steps to keep the blaze from taking place. There are several things that can be done that help burns from starting and help keep them from being very devastating. One main practice that can help prevent destructive fires is to have smoke detectors and make sure they are operating at all times. These tools are a requirement to have for most insurance policies because they can warn people of a burn before it gets out of hand. Heat sources are a common source of structural blazes, and they should be checked regularly. Always make sure your furnace's filters are clean and if you are using a space heater do not place it close to any flammable items. A common source for structural burns is your kitchen. Making sure all of your kitchen's appliances are clean can help keep grease from setting ablaze. 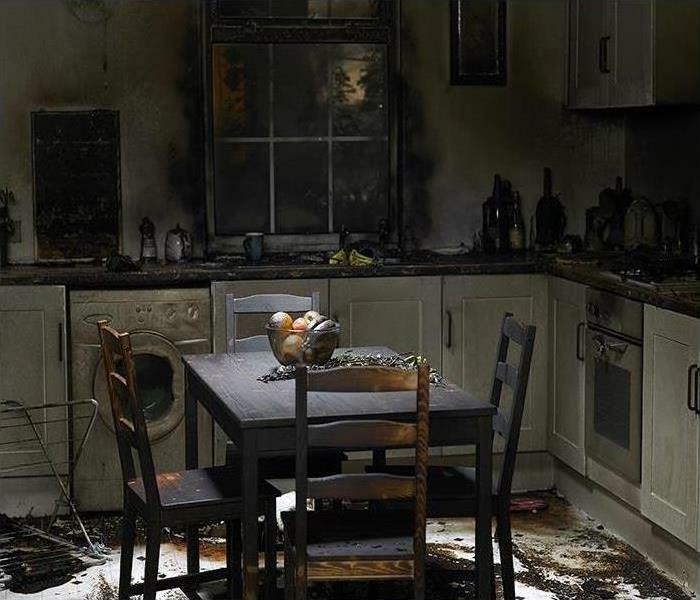 When you are cooking inside your kitchen, never leave items you are preparing unattended. Unattended cooking accidents account for a major part of all structural fires. Another part of being prepared for these types of accidents is always to have a fire extinguisher handy and ready to use. However, if something does ever burn inside your home, call SERVPRO of West Loop / Bucktown / Greektown at (773) 434-9100 24/7. SERVPRO's emergency services are available to assist you 24/7 to restore your home to its preloss condition. 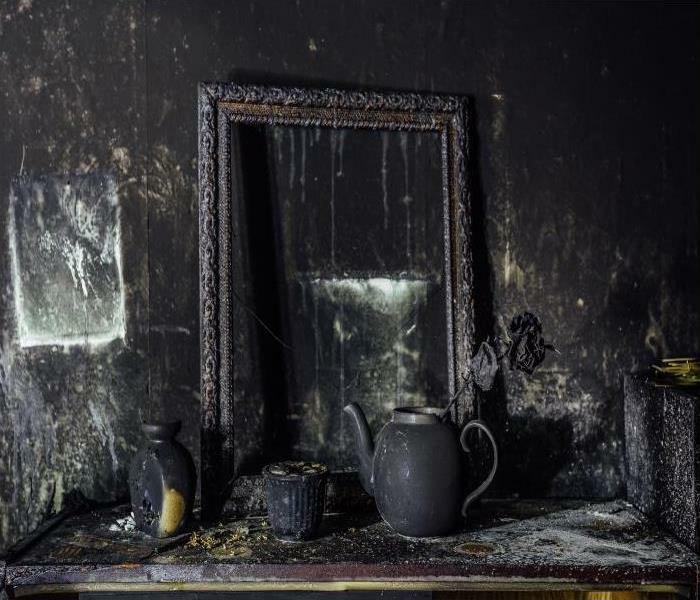 Every fire damage situation we handle is unique. Even though the science behind cleaning and restoring property that has been damaged is relatively finite, it must be applied individually to each site we remediate. A procedure that worked well at one location may not be as effective at another. That's why our technicians pursue continued education in restorative sciences so they can stay on top of the latest developments and trends. SERVPRO technicians know that the quicker homeowners call them, the faster they can begin to turn around fire damage in Chicago homes. Expediting cleanup lessens the potential for secondary damage from standing water from extinguishing the fire, odor problems, and mold growth. Drying areas drenched in the fire fighting efforts is a double issue for SERVPRO technicians. First, the longer water stands, the more contaminated it becomes along with the potential for structural damage. Second, odor-causing particles from the fire smaller than the naked human eye can see, and they can spread throughout the home and create pungent problems in currently unaffected rooms. Our IICRC-certified technicians know that containment is crucial and set up barriers to limit the spread of soot particles before positioning air movers and humidifiers. After drying, our technicians often employ negative air fans which move contaminants from a contained space through ducts to an outside area creating a vacuum (negative air) effect. HEPA-vacuums remove dangerous particles from surfaces prior to hand cleaning to remove all traces of smoke and residue from surfaces. 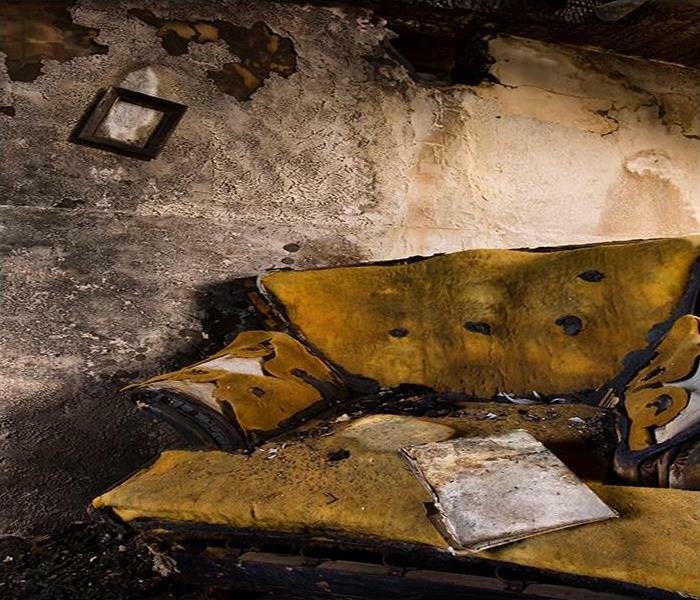 Carpeting, furnishings, drywall and other porous materials are not automatically a loss due to a fire because they absorbed the foul odor and are smoke damaged. SERVPRO has Odor Control Technicians who specialize in removing fire odors mitigating loss to homeowners. Cleaning up fire damage, even for small fires, is never a DIY project. Call SERVPRO of West Loop / Bucktown / Greektown at (773) 434-9100. SERVPRO's emergency services are available to assist you 24/7 to restore your home to its preloss condition. lSERVPRO of West Loop / Bucktown / Greektown is available 24/7 to get your business back up and running. A broken pipe can cause a lot of problems for a retail establishment, problems that stem from the initial water damage. Leaving excess moisture for too long can create mold. 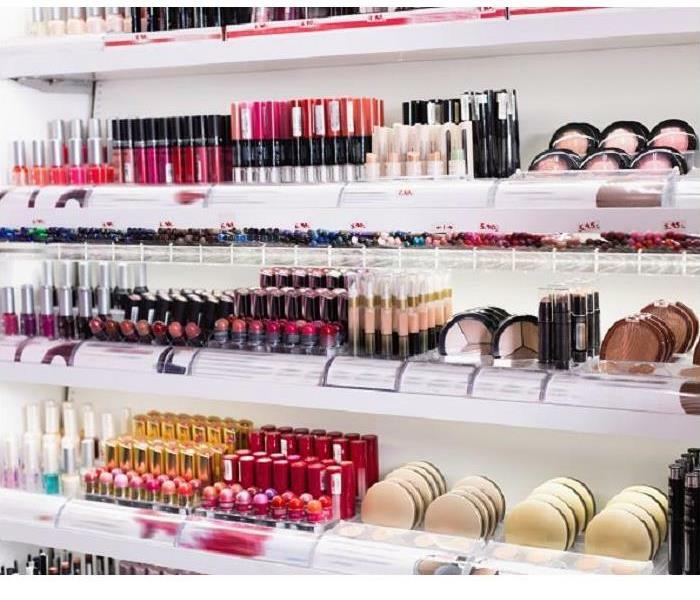 Water can damage the merchandise that your beauty boutique offers. Not to mention, water damage can also cause the foot traffic in your store to halt until it remediation occurs. Overall, having a water damage-problem inside of your store is not optimal, and it is vital to tackle it as soon as possible. A pipe in the ceiling burst over the back wall and the storage room behind it inside of your West Loop beauty boutique, causing water damage in the ceiling, surrounding walls, and the floor. In the storage room, boxes of new eyeshadow palettes, highlighters, and blushes were soaked through and ruined. It is essential to get both the plumbing fixed and the water damage remediated as soon as possible, to avoid further problems inside of your shop. When you call SERVPRO for help, we always make it a top priority to get to your shop when you need us to be there. We understand how hectic your schedule can be and how valuable your time is. Thus, we work around your clock. Day or night, we can come to your aid and get your shop up and running again. When we arrive at your store, SERVPRO can do a brief investigation and create a drying plan for the water damage. To start, we can clean out the boxes of ruined merchandise and help you make an insurance claim by taking inventory of everything lost. From there, we can remove the standing water from your shop using tools like wet/dry vacuums, portable pumps, and extractors. To dry out the space between the wall that the water used to rush to the floor, SERVPRO can drill a tiny hole and feed air blasting tubes through, exposing all sides of the wall to dry air. In your storage room and at the back of the store, we can set up dehumidifiers, axial fans, and air movers to keep a flow of dry air going throughout the space while also encouraging excess moisture to evaporate. Call SERVPRO of West Loop / Bucktown / Greektown at (773) 434-9100.Once we finish, we can return your store to you, "Like it never even happened." Read about West Loop here. Fire and smoke residues cover every item caught within the affected area. You never wanted to have to deal with fire damage on your property, but accidents happen, and here you are. Several friends and co-workers give you unsolicited advice about how to handle your situation, each with ideas about what is important and whom you should contact for help. When deciding on a fire damage restoration company in the Chicago area, consider someone who can deliver far more than essential services. You need a company that handles fire, water, storm, and mold issues on a daily basis, but you should also look for someone who wants to be there for you. 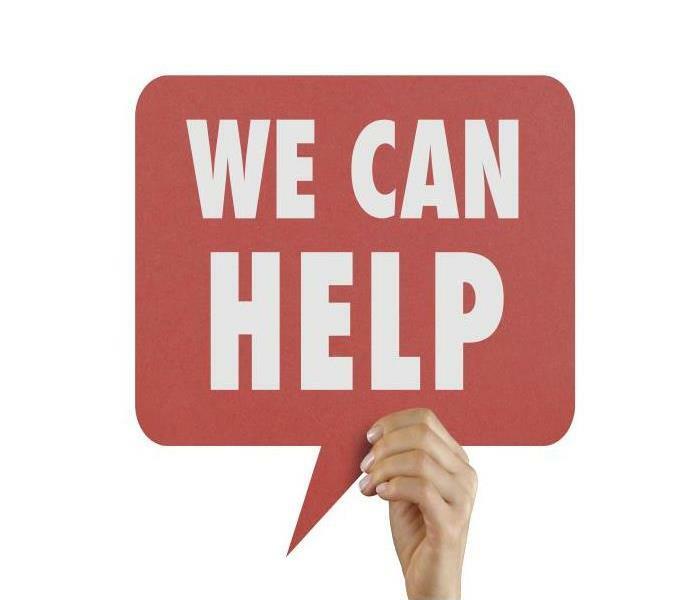 You want someone who can address each one of your concerns individually, tailoring their restoration process to fit your unique situation and provide you with services needed to get things back to normal as quickly and efficiently as possible. However, the entire restoration process should also be as stress-free and enjoyable as possible, that company is SERVPRO. If you want someone who has 24-hour emergency service, who responds to your request for help promptly and can provide you with useful tips to help prevent future events, call SERVPRO. We understand how devastating this type of incident can be and provide you with the caring expert solutions necessary to help guide you through the restoration process. 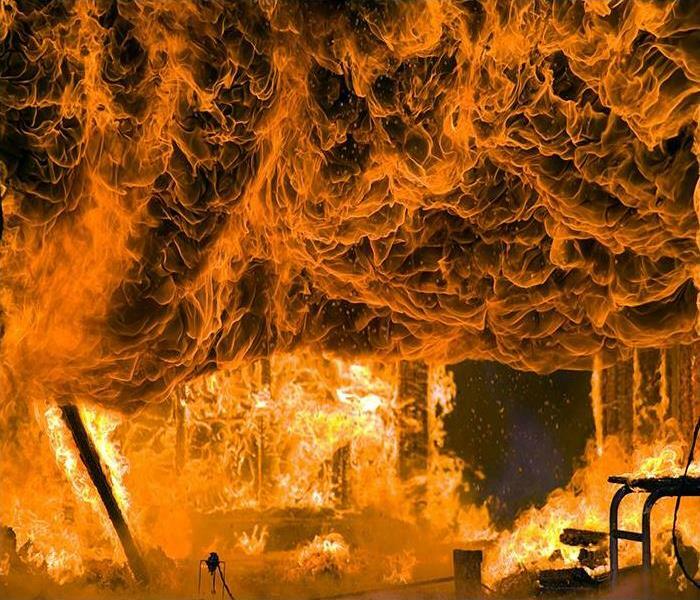 Think about it, a fire happening on your property involves drying the entire area, cleaning carpets, giving individual attention to each item to remove fire and smoke damage, cleaning and deodorization methods, water removal, as well as possible microbial remediation. Do you want to leave your home in the hands of someone inexperienced in any of these methods? No, you want to get the best help possible and get things back to normal as soon as possible. Never hesitate to call, waiting only makes things worse. Fire and smoke residues cover every item caught within the affected area. Making it essential for professional restoration technicians to fully inspect each item individually, giving each of your belongings the attention they deserve to determine whether they are restorable or not. SERVPRO’s professional technicians utilize IICRC standards and best practices in water, fire, mold, carpet, and cleaning during your restoration process to help return your property to a quality pre-damage condition you can enjoy. Make the call to SERVPRO of West Loop / Bucktown / Greektown to receive the help you deserve. Our staff eagerly awaits your call (773) 434-9100. Your plumbing system is one potential source of water damage. Many water damage cases in homes involve inclement weather, but there are other common causes of water damage which can occur at any time. Your plumbing system is one potential source of water damage, including fixtures such as toilets and sinks leaking. Pipes can spring leaks as well, and several large appliances can leak such as dishwashers, water heaters, and washing machines. It is simpler to prevent water damage in your Chicago home than to clean up the mess. If you regularly inspect your plumbing fixtures, appliances, and pipes for leaks or signs of damage, you can prevent water damage that becomes widespread and needs extensive restoration services. When something does happen to one of your fixtures or appliances to cause a leak in your home, SERVPRO is the one that can help you clean up the water and repair the problem. As trained water damage remediation specialists, our staff is professional and caring. On a daily basis, water passes through your bathtub, toilets, sinks, and shower. If any are damaged or leaking, you may wind up with major water damage. Regularly inspecting the plumbing in your home can help you find signs of leaks or damage before it becomes much worse. Pipes are running all throughout your home, some which are in inaccessible or hidden areas. 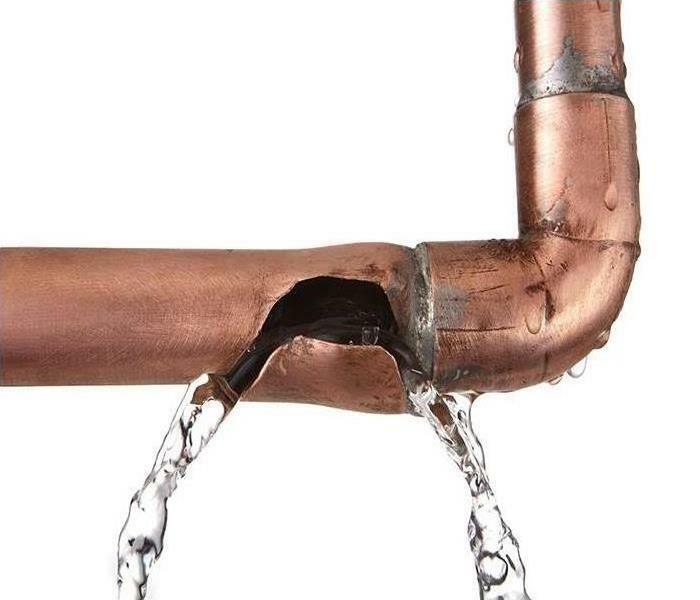 Hundreds of gallons of water can spill into your home if one bursts or begins leaking, so it is imperative to check your pipes for loose connections, damage, and wear and tear. Your appliances also need to be routinely checked for leaks. Washing machines, refrigerators, water heaters and dishwashers are all vulnerable to major leaks. Be sure to check the hoses on your dishwasher and washing machine. It is a good idea to replace hoses about every three years to avoid damage from normal wear and tear. As an owner, you should know the location of your emergency water shut off valve. If a plumbing fixture or appliance suddenly break, shutting off the water is the best thing to do. If you are going to be gone for a week or more, it is also a good idea to shut the water off then. Even with careful checking, accidents can happen, which is why at SERVPRO, we are always ready to help. We can remove the excess water quickly with special pumps, fix the problem that caused the water damage, and dry your home out thoroughly for you. SERVPRO of West Loop / Bucktown / Greektown are the experts you need when you are facing a water damage emergency. We move fast to restore your home when you get in touch with us at (773) 434-9100. For more information about Chicago click https://www.cityofchicago.org/city/en.html. Mold often presents itself in areas of your home with constant water sources such as your kitchen, bathroom, or laundry room. Mold often presents itself in areas of your home with constant water sources such as your kitchen, bathroom, or laundry room. Your shower, sinks, toilets, faucets, and any other plumbing or appliance that uses water can eventually lead to the development of mold. Finding small amounts of mold damage in your Chicago area home may not be so alarming. However, if the area is over 10-square feet, you should contact a professional for help. Cleaning up mold without solving your water problem invites mold to return, and it only takes a short time for it to cover extensive areas of your home. Expertly trained SERVPRO technicians provide you with access to advanced containment, control, and cleaning methods while wearing the proper protection to prevent inhalation of mold spores. They utilize a restore versus replace mentality to handle your belongings and discard any severely damaged materials, finding hidden mold, and keeping it from returning later. SERVPRO technicians clean and disinfect the contaminated area using EPA-registered disinfectants and specialized equipment to reach even the smallest areas. You should understand that if you intend on tackling mold growth in your home alone, most household cleaning solutions just do not do the job well enough to combat the problem. You can avoid many of the problems that often accompany mold growth in your home by contacting a trained professional for help. SERVPRO can help you remove mold from clothing, shoes, and other personal belongings, this includes leather items, books, paper and even electronics. Making the right choices at the first signs of mold damage on your property can limit the losses you experience. When there are professional services available in your area, there is no reason for you to take chances on your own. Professionals are waiting to assist you anytime you need them, benefit from what is available. Contact SERVPRO of West Loop / Bucktown / Greektown for additional information or to schedule an initial inspection of your property, today. We can help you 24-hours a day, 7-days a week, call now (773) 434-9100. Visit https://www.cityofchicago.org/city/en.html for more about Chicago. When It Comes To Dealing With Water Damage In Your Chicago Home, Our Crew Is Here To Help! In case of a water spill, call SERVPRO of West Loop / Bucktown / Greektown to help clean up your home to sanitary levels. Speed is a vital aspect of any exercise involving water cleanup in Chicago. Some of the damages like staining or microbial growth that occur after a water spill incident can be tied to the time taken to extract the water. Using sophisticated equipment or advanced techniques are two ways to increase the speed of extraction. Our SERVPRO technicians combine both depending on the situation. For example, we use water extractors or the more specialized injectidry systems to remove water without tearing down the structure. In other cases, we cut vent holes or do a controlled demolition to remove water from concealed areas. To a certain degree, the total area of the house that requires cleaning is determined by the level of water migration. As the water moves, it dissolves different materials including dust, pet wastes, and dyes among others, spreading the residue all over the property. Having a proper way of tracking water migration helps ensure the right outcome. Some typical ways of doing it include controlled teardown of suspect areas and using advanced equipment. Our SERVPRO technicians rely on equipment such as FLIR thermal cameras and moisture sensors to track affected areas conveniently. The type of soiling and the materials in the affected areas influence the cleaning approaches chosen. It is easier to remove soils from hard surfaces such as wood compared to porous ones such as carpets. Cleaning should also include structural parts such as walls and subfloors for satisfactory results. Our SERVPRO technicians use pressure washers and professional cleaning agents to remove dirt and grime from hard surfaces. On carpets, we use approaches such as rotary jet or hot water extraction, shampooing and deluxe preconditioning. In case of a water spill, call SERVPRO of West Loop / Bucktown / Greektown to help clean up your home to sanitary levels. 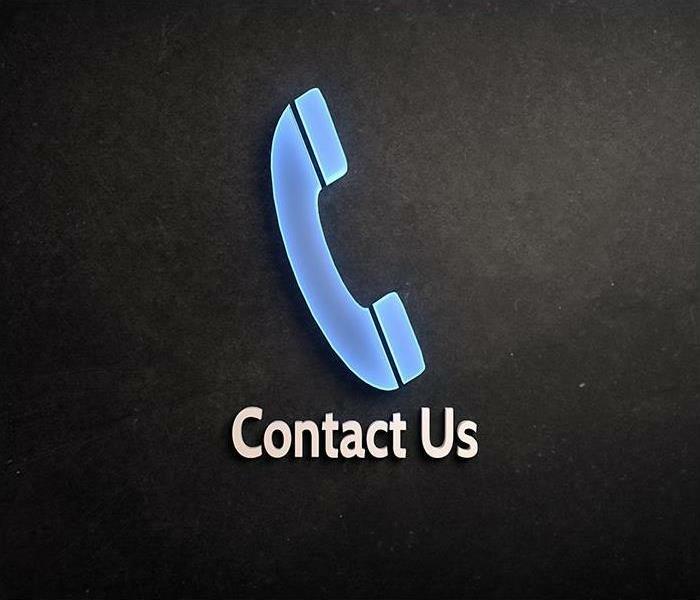 You can reach us at (773) 434-9100 any time. We’re Faster to Any Size Disaster. If you need our help cleaning up after a fire, call us at (773) 434-9100 as soon as the fire is out. Chicago can experience some frigid winters, and one of the favorite ways to heat homes here is with space heaters. They are especially popular because of their small and portable size, which makes them easy to reposition. However, this preferred method of keeping warm can put your home in danger of a fire if it is not safely used. When you have had minor fire damage from a space heater in your Chicago home, you still need the assistance of a professional remediation company to help you clean and restore your home. SERVPRO is always ready to help you with our expertise and tools to get the job done thoroughly and quickly. Even with a minor fire, smoke residues affect the immediate area, plus may have traveled to other rooms of the home. Even with a light to moderate amount of smoke, SERVPRO technicians need to restore your home with dry or wet cleaning methods, depending on the surface where the soot and smoke are. A few areas may even need repainting, and only minor items need replacement. To help prevent space heater fires, start by choosing the right one for your home. These appliances run on electricity, natural gas, or kerosene, and each type is recommended for use in different settings. Newer models have more safety features, so stick to these. Among these features is a safety switch in case the unit tips over. It lets the space heater turn off automatically if it gets knocked over, which helps prevent a fire. Treat space heaters like candles. They should never be left running while unattended. If you leave the room, turn them off and keep about three feet of space around them. Operate them on a stable, level surface so they won’t be apt to be knocked over by passing pets or people. You also want to avoid putting the heater near curtains, furniture, or anything else flammable. Nothing should be put on top of the heater, and do not hang clothing on it to dry. SERVPRO of West Loop / Bucktown / Greektown hopes that your home in Cicero, Pilsen, or South Lawndale stays safe in the winter, but accidents sometimes happen. If you need our help cleaning up after a fire, call us at (773) 434-9100 as soon as the fire is out. Call us as soon as possible after a disaster at (773) 434-9100. Many people don't understand just how serious of a problem water damage in Chicago can be. When a part of your home takes on more water than it would typically be able to handle, it can begin to undergo changes and processes that leave permanent marks on the building that can take much more time and money to repair than a professional cleanup job. Our certified SERVPRO technicians respond quickly to any calls about water damage we receive to ensure that your home gets the fast and thorough treatment and care it deserves. Although all cases of water damage in Chicago are different, several broad categorizations help us to understand exactly how severe the matter is and what treatment techniques we can expect to use during the mitigation and restoration processes. Water color can tell us quite a bit about safety hazards and necessary precautionary measures, so be sure to say in your initial phone call whether the water in your home was clear, cloudy, or dark when you first saw it. Once we get an inspector to your home to analyze the situation with a professional eye, we can provide a more detailed assessment of how extensive the damage is and what we need to do to fix it. More severe water damage situations such as floods can take several weeks to restore. These projects usually require more drying time and minor reconstruction efforts such as replacement or refinishing of floor materials. For smaller spills, our drying and restoration times can have much higher variance, but SERVPRO makes sure to approach every job with the best care we can provide to keep the impact on your life as low as possible. SERVPRO of West Loop / Bucktown / Greektown maintains readiness on a 24/7 basis to respond to local calls for help with water, fire, and other types of damage. Call us as soon as possible after a disaster at (773) 434-9100. 4/17/2019 - When A Pipe Bursts In Your Chicago Home, Our Crew Is Here To Help! 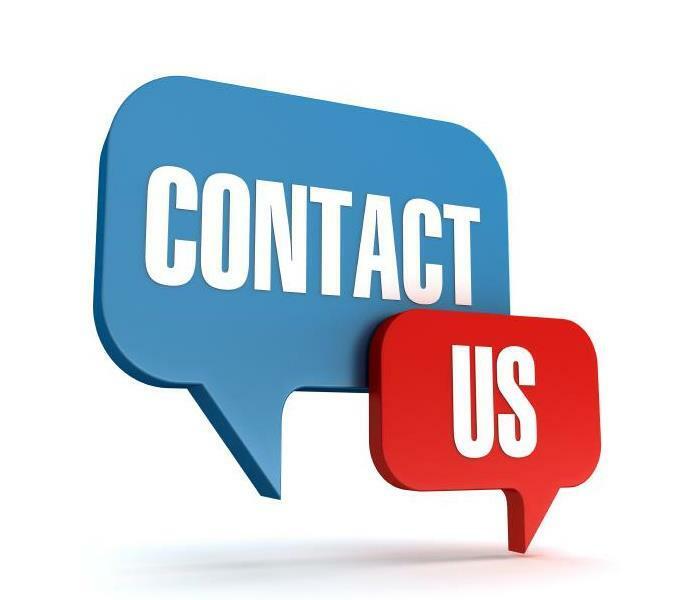 3/7/2019 - When It Comes To Dealing With Water Damage In Your Chicago Home, Our Crew Is Here To Help!